AirplaneGeeks 395 Trish Beckman Loves to Fly Fast - Airplane Geeks Podcast - The weekly audio podcast that explores and expands your passion for aviation. We talk with the first American woman to qualify as a crewmember in both the F/A-18 and the F-15E, now working for Boeing. We also discuss airline and airport implications of a terrorist attack, record US airline traffic, the Coast Guard centennial, and F-35B deployment to Japan. Patricia L. “Trish” Beckman is a Navy Officer, a Flight Navigator, an Aircraft Dispatcher and an Aeronautical Engineer. Trish is one of the women described in the book Trailblazers: The Women of the Boeing Company that we talked about with author Betsy Case in Episode 382. Trish enlisted in the US Navy at age 18 and over the course of 28 years she learned to operate and maintain flight simulators, completed flight training as a Naval Flight Officer, graduating from US Naval Test Pilot School, earned a Bachelor’s degree in Aerospace Engineering and a Master’s degree in Aeronautical Engineering. As a Naval Flight Officer, Trish flew in 67 types of military aircraft, with primary qualifications in the EC-130Q, F/A-18D, E-6A, S-3A/B, and F-15E. She was the first American woman to qualify as a crewmember in the F/A-18 (F/A-18D, 1990, Weapon Systems Officer) and the first woman to qualify as a crewmember in the F-15 (F-15E, 1992, Weapons Systems Officer). 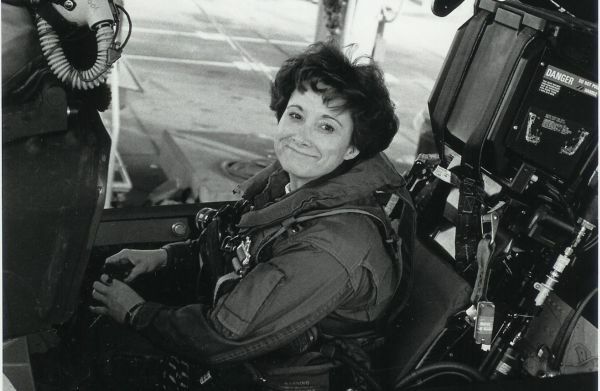 In 1991, Trish and other women military aviators helped educate the US Senate on career restrictions caused by the 1948 “Aviation Combat Exclusion” laws, which directly led to the repeal of those laws. Since 1993 when President Clinton changed the policy regarding assignment of women to combat missions, women now fly all military aircraft in almost every military mission. Since June 2013, Trish supports military aircraft flight test at Boeing Test & Evaluation at Edwards Air Force Base and China Lake, both in California. For the previous 12 years, she flew as a Systems Operator (similar to flight engineer) for production and engineering test flights of the Boeing 737, and as a Flight Test Navigator for ferry flights and engineering test flights for most Boeing aircraft (737, 747, 757, 767, 777, 787). She has logged over 6000 flight hours in 73 aircraft types. 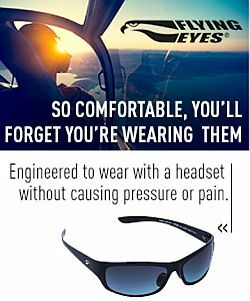 Trish is a founding board member of Women in Aviation International (WAI) and a past president of Women Military Aviators, Inc. (WMA). She also mentors and supports women aviators worldwide, through such organizations as Canadian Women in Aviation (CWIA), Aviation and Women in Europe (AWE), the Russian Club of Women Aviators (Aviatrissa), Southern African Women in Aviation (SAWIA), and Women Aviators in Africa (WAFRIC). Trish works to inspire and motivate young people to pursue careers in math, science, and aviation. She is a mentor for the Raisbeck Aviation High School in Seattle, a workshop presenter for Sally Ride Science Festivals around the country, and a mentor for several aerospace museums nationwide which encourage young people to navigate a path to success in the world of aviation. SimpliFlying Senior Consultant Marco Serusi takes a look at the Brussels Airport attack on March 21, 2016 and thinks the way the Airport and Brussels Airlines handed the crisis is a good model for other airlines and airports. He also provides some lessons for the next crisis. Israel’s Ben Gurion Airport may be the world’s safest airport. It features the use of five layers of security that starts just after you leave the highway, as well as racial profiling techniques. American Airlines carried more total system passengers in 2015 than any other U.S. airline. British Airways carried the most passengers on international flights to and from the U.S. of any foreign airline. Atlanta Hartsfield-Jackson International had the most total system passengers board planes in 2015, and more passengers boarded international flights at New York John F. Kennedy. Coast Guard Air Station Cape Cod received a MH-60 Jayhawk helicopter with the historic chrome yellow paint scheme used by Coast Guard and Navy helicopters in the late 1940s and early 1950s. In celebration of the Coast Guard’s 100th aviation anniversary on April 1, 2016, sixteen aircraft in total are getting historic paint jobs to represent different eras of Coast Guard aviation, including Jayhawk and Dolphin helicopters and the HC-144 Ocean Sentry airplane. The U.S. Marine Corps plans to deploy the F-35B to MCAS Iwakuni in January 2017, replacing the F/A-18. In honour of our guest, David looks at the F-15E. The Strike Eagle grew out the aircraft that was designed from the outset as “not a pound for air to ground.” The Strike Eagle is now flown by the US and its allies in the Middle East and Southeast Asia. Launchpad Marzari comments on the Spartan Executive and wonders why the cost of a comparable new aircraft has doubled, if not tripled, taking inflation into account. India is predicted to become the world’s third largest commercial aviation market by 2020, after the US and China. 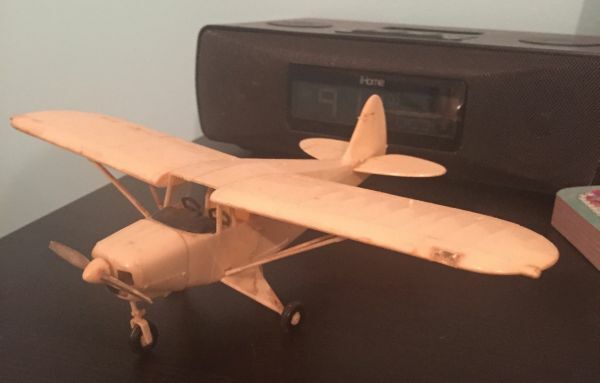 The Piper tri-Pacer model built by Jeff’s father and grandfather, now “flying” in his daughter’s room. This entry was posted in Episodes and tagged Airport security, Boeing, F-15, F-18, women in aviation on March 30, 2016 by maxflight. Joyce, That is so very wonderful of you to be so supportive. Your niece sounds like a wonderful woman. She has quite the impressive list according to this article. I have never worked anywhere that would make for exciting conversation. My nephew is learning to fly airplanes at a flight school called FlyHAA. It sounds like we are in a similar boat! I couldn’t be more proud of him. I hope he and your niece both have a fantastic life of adventurous safe flying.